This article is an introduction to this site and I will try to give you the best possible impression of what the site has to offer. Try to read the entire article. At the end of the article, I will tell you how you can get started with our free education and more. TradeOptionsWithMe is a site dedicated to helping you reach your financial goals. It does this by providing the necessary help and education on the markets and much more. Luckily for you, all of this content is 100% FREE. 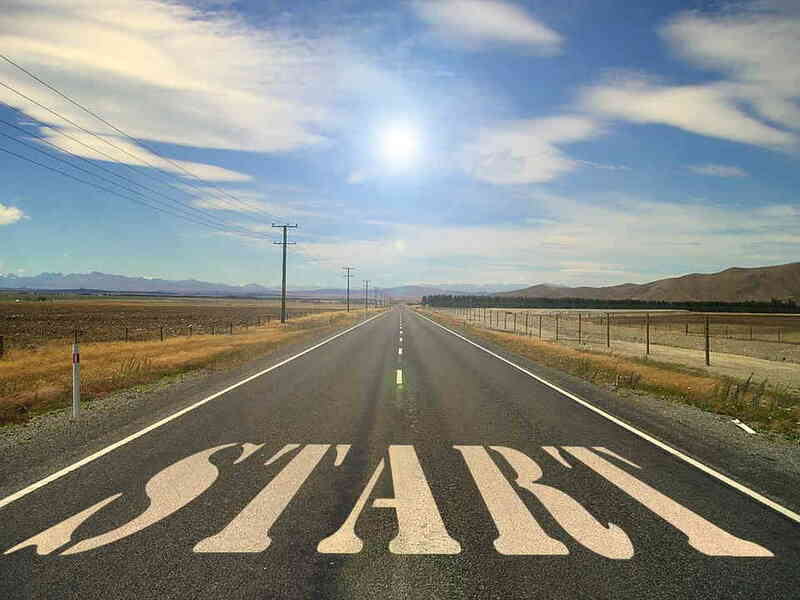 If you are new, you may not know how to get started. I will help you with that. But first of all, let’s get to know each other! You can read about me and my story, HERE! But sadly I can’t read about you anywhere (yet). But to change that, I would like to give you the first task of your success story. Please let me know who you are, what your goals are and how dedicated you are. Why are you interested in the markets and how did you become interested? Have you any experience in trading? 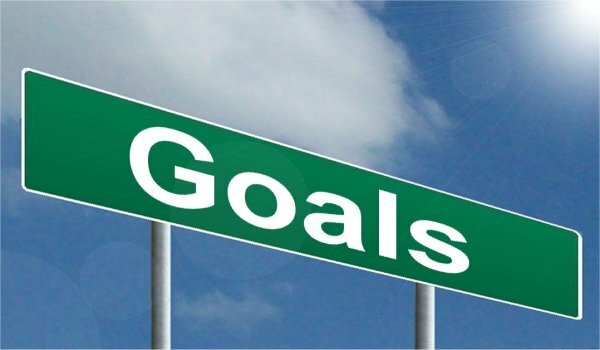 What are your goals for the next month/year/5 years…? How much time are you willing to put in (per day/week/year)? Try to answer all these questions, if possible. I know this may seem boring and unnecessary to some of you. But it is important to follow along and accomplish all the tasks from the beginning. This is where your success story begins. Not only will I get to know you better and potentially be able to help you now or further down the road, but you can also come back in the future and check back on your goals, revise them and check if you accomplished them. In addition to that, you can check if you have put in the ‘promised’ time. If not, this can motivate you, to change that. I want this site to be more than just a website, you visit once and never again. This site is supposed to be the starting point of your story. I want this site to be your guidepost and me to be your guide. If you ever feel lost or need guidance, you can come back to TradeOptionsWithMe. I will try to help you as much as I possibly can, so never hesitate to ask about something that concerns you. Additionally, please always tell me when you have recommendations and/or feedback for me and TradeOptionsWithMe. The courses are based on each other, so try to start at the beginning unless you are completely sure that you are familiar with the previous concepts. I tried to make the courses as variable and entertaining as possible. I added many graphics and even video lessons to make the in-depth articles easier to understand and as spicy as possible. Each course ends with a quick quiz to check the knowledge gained from the course. But don’t worry, the quiz can be taken as often as desired. 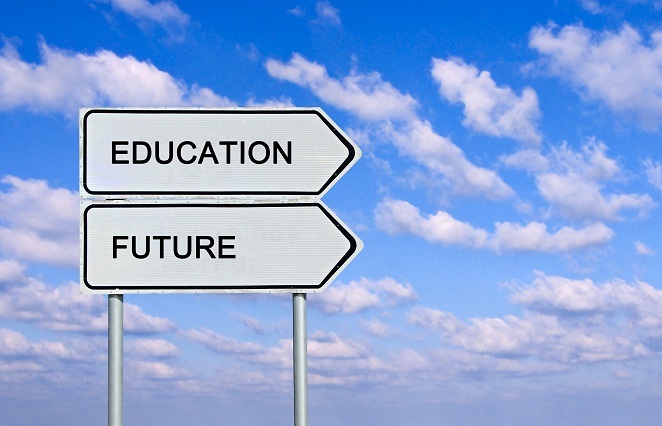 Remember, education is the most important thing when it comes to trading! Furthermore, there are plenty of articles that don’t specify on options trading, but rather on the markets in general and other concepts. New articles are posted regularly under the ‘Posts’ tab. These cover a huge range of topics. Additionally, I have thorough strategy-breakdown articles/videos under the ‘strategies’ tab. This is where I explain different option trading strategies as good as possible. This is ideal to get to know a big variety of different trading strategies to potentially try out. Under the ‘Live Trades’ tab, you can get a sneak-peak of my trading. I have begun to trade in a new, smaller broker account where I pick a given number of trades from. The chosen trades are then presented and explained here. This can give you a good idea of how I find, enter, manage and exit trades. Here, I also try to choose a good variety of trades, so I don’t only show winning or losing trades. Last but not least, comes the ‘Reviews’ tab. This is the place to look at if you are searching for further trading related products as for example broker platforms, software, books or some other education trading site. Here I reviewed some of my favorite products and services. Note that I have an affiliate partnership with some of these companies. This doesn’t mean that I am not honest about these products. I only choose to review a few selected services, I personally believe in. Even if I earn money from certain sign-ups, I am still as honest as possible about the recommended products. This is also how this site ‘survives’. Without these affiliate partnerships, I would not be able to offer free education and more. In my opinion, these partnerships are the best way of monetizing this site without influencing the user experience in a negative way. This is a 1 ½ hour long Masterclass in which I teach you all the option basics and much more. The entire Masterclass is completely free of charge and I highly recommend taking advantage of this amazing opportunity! This is ideal for beginners. But even more-advanced people can learn a lot from this Masterclass. If you want to learn more, sign up and attend my free Masterclass, click here! The resource page is a page where some useful trading resources that I recommend are listed. Everything from brokers, books, software to education, news sites and much more is included on the resource page. I personally use most of the listed resources on a daily basis and therefore recommend them. Check out my options trading resources! After getting to know each other, I would love to introduce you to my options trading courses. I offer an options trading email course that should get you started with learning. In it, you will learn everything from the complete basics to more advanced concepts. I really recommend it no matter at what level you currently are. The best part is that the course is 100% for free!!! If you are interested in the course, just enter your name and primary email at the bottom of this article. I will send you structured training resources every few days for you to look at. The lessons consist of articles, videos, graphics, cheat sheets, quizzes and more. 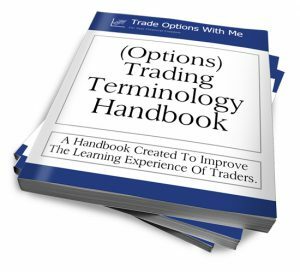 In addition to the trading course, I will also send you a free copy of my trading glossary. This should be used during your learning process. As soon as you run into unknown words or phrases, you can look them up in the glossary. Just remember, this is no ‘get rich quick’ scheme. You won’t get ‘filthy’ rich in the next couple of days, weeks or even months. You have to put in the work and you will see the results. So please try to have somewhat realistic expectations. To get started for free, enter your primary email and name below! I will send you all the necessary training resources for you to become an options trading expert. I hope you will enjoy the stay and learn a lot. If you ever have a question, never hesitate to contact me personally or leave a comment. Cool man. I’m excited to learn about trade options. I’ll be sure checking back to learn about more information. Thank you for the welcome page also, it sounds very interesting. I would like to learn more about Options, I’ll be revisiting your site soon again. I believe there are not many side that offer you to learn about the stock market. They just want you to start investing right away without really knowing what you are doing. It’s so great you chose to help us out. Can’t wait to start learning more about options. Hi Louis, thank you for your welcome! I recently enrolled in a stock trading programme and was looking for more resources. Glad I stumbled upon your site! The more info the better. I can’t wait to see what you have in store. What I have seen already is great. Thank you. I notice you have a lot to offer in the options trading space and wonder when someone has received the basic education you have on offer are they still free to ask for direction from you or are they on their own? I mean, I know that ultimately we make our own buying or selling decisions but can we still bounce strategies or ideas off you and will there be any costs associated with that? You will always be able to come back to TradeOptionsWithMe and I will always help you if I can, no matter in what stage of the education you are. So even if you have completed all three courses, I will try to take care of you. After taking the courses, you can still learn a lot of important other things in the different areas of this site. But just like you said, I am willing to guide you, but I won’t babysit you and trade for you. I won’t give anyone any buy or sell signals, it is and always will be you that pulls the trigger. 4-5. No success – but no experience. Teach me Please! I look forward to learning a lot more from you! Thanks for being so willing to help people start their journey! Hey Kayla, awesome comment! It’s great to get to know you. Amazing goals and motivation as well. Your goal is very realistic and will definitely be reachable with some time and effort. For now, move on to the beginner course: Click Here. If you ever get stuck or have a question, contact me immediately. Finally, just reading your welcome page, had already made me feel at home. The mere fact that you mentioned that what you have to teach me,is not a ‘get rich scheme,’ already tells me that you are the real deal. I do not know anything about option trading. Guess, I am going to be heading over to your ‘beginner,’ course. Though it sounds intimidating, it sounds exciting too.I believe that the secret to success , is to have someone who has been there to show you the way. I like to think of you as a mentor. Bookmarked your site and ready to start!! Hey Roopesh, thanks for the awesome comment. I really enjoyed your site. Getting to know your customers is a strong start. That builds a relationship with them earning trust. I am a beginner to be sure, I know very little about stocks. I’ve never had the finances to invest before. The education you provide is very helpful. I like the plain language aspect of the site, insider jargon can confuse some of us. I try to keep it as simple as possible for sure. But if you run into a few confusing words, I offer a free trading glossary that you can download. Thanks for all the information, it’s quite a lot to take in so I will need to spend more time looking at my options (no pun intended). I have done all of my trading in the AIM stock exchange in London but it’s mostly long-term investments which are starting to come good. I am hoping by next year they will have doubled. I don’t use a broker, but I have an online investment account. I’ve heard brokers are more expensive, is this the case? Options trading interests me a lot, as my brother is already making money doing it. He influenced me to learn further about this game. So, when I saw your blog, I stopped and browsed. Thanks for the very informative articles. If I finally get started with options trading, how much will supposed to be my starting budget? Can I start with just $10 and scale up as I gain profits? Thanks for the comment and I am very happy that you enjoy my education. Sadly, $10 isn’t a realistic amount to start with. Many brokers and other scammy trading promoters spread lies and tell people that you can start with as little as 10 or 20 bucks. I’d recommend starting with no less than $2000. This may seem like a lot to you, but if you are serious about trading, you gotta have some capital to start with. If you don’t have that ‘much’ money yet, I recommend working and saving some money for your trading. If you want to know more, you may want to read THIS article, in which I discuss this topic even more. Thanks for your post on this. I had left other comments on one of your posts saying I was feeling a little overwhelmed by it so I’m grateful to land on the introduction page to gain a bit more understanding. Couldn’t agree more on the ‘get rich quick’ hype as that’s a sure fire way to lose all of your savings. Looking forward to learning more on the site. Options trading has always sounded risky and scary to me. I know money can be lost quickly, and it can be made, if you know what you are doing. I think it is finally time for me to take a look, for free, with you, watch what and how you do,and then get involved. I am looking forward to the adventure. I am willing to put in the work and time to make it work. Very happy to have you onboard. Hi Louis and as I see you are not a beginner in Options Trading and have learned much to spread around of your knowledge. A couple of years ago I made some basic steps for Forex Trading and came to the conclusion that to succeed you need to learn so much and spend sleepless hours. I guess that Options Trading is even harder and not an easy money scheme. I made short insight into the content of your site, and I am sure that it contains tons of usable information for options traders. Obviously, options trading requires some work, especilally in the beginning. But I wouldn’t say that it requires more work than Forex Trading. Forex has open 24 hours of the day, 5 days a week whereas the (NYSE) stock market only has open a few hours, 5 days a week. This fact alone shows that Forex probably is the most time consuming area of trading. Options (and other asset classes) can allow you to trade even with little time and a full time job. I really liked reading about your Options Trading Education. You break the details down clearly. I’ve been trading OTC pink slips and some options with E*Trade. All self-taught still a lot to learn. Would I be able to incorporate your education platform with what I’ve created with E*Trade? I am not completely sure if I understand you correctly. If your question is, if you can incorporate new things/strategies you learn from my education into your trading, then the answer is a big yes! Hi Louis. I like your simple introduction to Options trading. Many people wanna trade but skeptical when it comes to stuff online. Without proper guidance and mentorship, one is at a loss. Do you recommend Brokers? And what is your take on Think or Swim as a Platform? A review would be appreciated. I find Thinkorswim a very good broker for trading. But currently my main broker is Tastyworks. It is from the same developers and I love it. But note that they specialize in options trading. You can read my review for Tastyworks HERE. Some other broker reviews can be accessed HERE. I will try to write a review on Thinkorswim soon though. I’ve always wanted to learn about Trade Options. I’m glad I found your website. I would have to start at the beginning. This education makes it easier to understand & the course outline sets a foundation for success. The post, strategies, Live Trades, & reviews really help. How much does this course cost? The course is entirely free of charge! I am Adam from Seattle and I love your website. I am currently going through your beginner courses. I am interested in trading options to create another income stream to add to my job and rental property. I’ve invested in stocks for 20 years or so, but never done options. My goal is to make 100 bucks a day trading options. I have no idea how long that will take starting with 3k, but it’s my goal. The next goal after that will be to make 200 a day and so on until I can replace my job income. I can put in about 2 hours a day learning options trading. Thank for all your help! Hey Adam, welcome onboard. Interesting to get to know you. I really hope you will reach your goals and I am happy to hear that you are willing to work for your success. The beginner course is a great place to start. If you ever run into some problems or have some questions/comments, please let me know. I’ve been trading options for about 15 years now, I started out buying calls, then selling covered calls. After that I started selling naked puts. It wasn’t long before I realized you don’t make money when you buy, you make it when you sell. So for the last 12 years or so, I have been an options seller. I usually sell iron condors in highly liquid ETFs like SPY, IWM, DIA. I sell a put and a call that have a delta of around 15, 45 days or less till expiration. I don’t ususally let them expire worthless, but I buy them back for around half of what I sold them for, then redeploy my capital. I haven’t found a website quite like this, and I look forward to exploring it more. It seems like a good place for beginers to learn about stock optoins, it can be tricky at first. Awesome comment! Your strategy and story is great. Most people start by buying options until they realize that it is very hard to predict big price moves. I trade and teach a very very similar strategy to the one you just described. I love trading options. Lately, I have been selling SPY puts, but I think that the markets might be a bit overstretched? It certainly isn’t as easy as it was in the past year to do that. However, I love the idea of leverage, but with limited risk that buying options provide. How do you feel about currency options? I haven’t delved down that path yet, only spot currency. Thanks for the comment. That strategy is quite good, especially in the market we had the past months/year. Actually, I don’t have much experience with currency options yet either. Therefore, I can’t really say too much about them. The thing that I love about options trading is the ability to trade both sides of the stock. You can play the rise (calls) and play the fall (puts) of a stock. I also love how you have the biggest gains through options. I have been trading options for a few years now and they are great. I am surprised how many people do not understand options. You have outlined a lot of great stuff here. I think one of the greatest things that you offer are the live trades. That is crucial to knowing and believing. Thanks for the great comment. The versatility of options really is a great thing. Not only can you make money on moves up or down, but you can even make money on no moves in the underlying’s price. It’s great to hear that you are enjoying my content. I can’t wait to learn more about trading options! I’m going to check out the beginner course right away. Are they any costs associated with the courses? This is a great concept and I’m excited to learn more. Not looking to get rich quick, but would like to be able to live comfortably and get my debt paid off. Any extra income helps! All courses offered on TradeOptionsWithMe are free of charge. I am Terry Haney.I am 65 years old and retired.I live in Clearfield,Pa 16830.I was a truck driver before. I want to learn how to trade so we have a better income.I have no experience in trading. In the first month,I would like to learn more about trading.In one year,I would like a better life we have now.In 5 years,I would like to be retired with enough money we wouldn’t need to worry. Thanks so much for sharing Terry. I truly think your goals are very achievable as long as you educate yourself enough. Enjoy your stay and please let me know if I ever can help you. I am Kirk, a dentist. I graduated in 1989 from Northwestern University dental school. I am a very hard working / ambitious person. This is a fault as I look at it. I am guilty of taking a lot of risk to get ahead in life. I have always been interested in the markets: forex, futures ect. I have not been successful and I only have myself to blame. I jump in with both feet and my emotions sometimes kill me. With that said I am no quitter. I can get better and I do have the ability to learn. I got married late in life and now I have three young kids. Very young 2, 5, 6. . I am 57 years old. My motivation is obvious: I wish to somehow help my kids with there educations and ease my retirement stress. I liked your you tube videos and this is brought me to your site. I have stayed away from options mainly due to the fact that I know absolutely nothing about the process. But it looks logical to me. Welcome onboard Kirk. Thanks so much for sharing your story. It’s great to hear how dedicated you are and your mindset seems great. Make sure to educate yourself before risking any substantial amounts of money. Never hesitate to contact me if there is something I can help you with. Hi. My name is Eve. I work full time 5 days a week 50 hrs nights and sleep during the day. I also have a house I’m working on to put it on the market, so I have very limited time. I would like to master butterfly strategies so I can trade them with confidence, knowing how to exit the right way. I have watched your video 3 times already and will put on a paper trade in my tos account, hopefully this week. Just not sure how to exit trades. Eventually would like to trade full time, or part time with confidence. Have been watching many you tube option videos, thank goodness for you tube. But it takes a while to learn and put on paper trades, due to lack of confidence and lack of time. But ‘m getting there slowly. Really enjoyed your video on butterfly spreads. Once I learn simple butterfly’s, would like to learn other butterflies. So thank you for the opportunity. That sounds great! It is a really good idea to start by paper trading before risking any real money. I am glad that you are enjoying my content. Please let me know if there is anything that I can help you with. I really appreciate your website and how you are focused my success story and journey. Getting into trading is something I want to do, but it can be daunting and that’s even with a Finance background. Your content seems to lay it out well and make it seem extremely doable. I am excited to start! Glad to hear that. I really hope you will enjoy your stay. I have never been into trading and you really persuaded me to give it a shot. Your level of persuasion is excellent and the fact that you are providing those courses for free is intriguing. I have signed up and would like to know more details on trading. How long are your videos? And how many videos will you send me per email? Great to hear that I convinced you to try something new. I’ll send you multiple lessons for a few weeks. Currently, not all of the lessons are video lessons. I am working on adding more video lessons though. The length of the videos also varies. But most of them are over 10 Minutes long. You can check out some of my video lessons on my Youtube Channel. Hi, I’m Joop, from the Netherlands, and I have just quited my job. Starting june there is no more monthly salary available for me. So I have to live from my savings and from the profits of my stocks account. Starting June I have a lot of time to learn everything about the stock market. I’m already busy with stocks for many years, but do not use options because of bad experience with them in the past. But from now on I HAVE to become specialist in it, in everything. I have to be very careful, but that is possible with options if you trade them well. They can also help you to protect your stocks, but I’m not good in it already. I am very curious about what I am going to learn. Great to hear from you Joop. I really hope you will enjoy my education and learn a lot. Just be careful to not start too early or too risk too much at once. You should really take your time before risking any hard earned money. I’m RK Gaston; I’m starting with a trading account of $5000 to learn to trade option strategies. I want to enhance my retirement. I’ve been interested in the stock market since I was a child in the 1960’s. Yes, trading stocks and some options. Wow, what a great bio. Thanks so much for sharing all of this. You seem like a very nice and humble guy who is willing to put in work. I really hope that you will reach your goals and learn a lot on this site. I wish you good luck on your journey and if you ever have any questions/comments… please let me know! Hi Louis, I am a retired Veteran from the US Navy and had the opportunity of being a member of The Blue Angels during my tour. I have been trading penny stocks for the last 7-10 years and along the way made a few nice really big gains, other than that, the only way to really win in penny’s is by scalping. So overall I was pretty successful, but I got tired of the slow days due to low or no volume. I need action when I’m trading and that’s why I am ready to get into options. Pennies along with big board stocks but nothing in options, so this is a whole new thing for me. more successes than losses in the pennies, some of those successes were pretty huge, considering they were penny stocks. Bit looking back I took a lot of risk back then, more than I should have, but I got lucky. My approach with options is going to be much more structured once I have gained the knowledge and become a little more confident than I am right now. Learning the options trading strategies and applying them to my daily trading. My goal for the first month is to be on a path moving forward with your studies, and start live trading as soon as I am comfortable after completing your study along with being successful in some paper trading. I would hope to trading live withing 4-5 months. By years end, my goal would be to net 1k as a start. Being retired, time is definitely on my side, so as of now, I am going to set 2 hrs a day through the course, Once I go live, I will put in the hours needed to attain my goals. Wow, thank you so much for sharing your amazing story and thank you for your service. I truly feel honored! Your goals are very realistic and it is awesome to hear that you are willing to put in time. If you ever have any questions, comments or anything else, please let me know! To contact me, you can either leave a comment directly under an article or send me a message on my contact page. But for now have fun studying and thanks again for your amazing comment. my name ist Stephan and I’m pretty new at the markets. I’m from Germany and i work in a big medical company as IT Service Manager. I save every month some money to invest in a long term dividend strategy. Additional I put some money away to grow up a options trading account. I’ll start with it when I save about 5000 €. I’m interested in trading since a long time and so i came over the Youtuber Nils Gajowiy to Jens Rabe where i lern something about Options trading. I do papertrading since 1 year and i make about 25 % this year with a max draw down of 30 %. My goals are an average return of 15 % with options and about 12 % with the long term strategy. By the way… I invest some more in P2P and P2B Credits where i make 11 % p.a. since 2 Years. with my technical background i’m very interested in automation and i’m still waiting for the API of Tastytrade to develop a Option Trading Automation Software. Welcome onboard Stephan. I am glad to get to know you. You seem like a dedicated guy who is definitely willing to study and learn. Furthermore, your goals seem very realistic which is great. I have never heard about Nils Gajowiy, but it is good to hear that you already have been educating yourself. Most people just start trading with real money right away. This is one of the biggest mistakes because without the right education and preparation, you won’t become a successful trader. I hope you will enjoy my content. Please never hesitate to ask questions. I buy and sell stocks since 1986 and never made money but on the contrary I have lost 10 of thousands from my savings and hundred of thousands from my profits. My account was fluctuating up and down with all the financial and non-financial crisis since its inception and i did not give it the necessary attention. Now that I am almost retired, I have all the time to concentrate and learn and generate a good income from trading stocks and options. Thanks so much for sharing your story. I am sorry to hear about your mixed success with trading so far. However, it seems to me that you have learned a few important lessons from your experience (like the importance of managing your trades and your risk or the importance of learning before risking too much). I hope that my education and website can help you on your journey to consistent success in trading. I would be more than happy to answer any questions if you ever have any. My name is Gary and I’m a long-term stock investor who’s now trying to learn both swing trading and options. It’s a lot to bite off but I want to take a two-pronged approach so as not to limit my options (no pun!). And they may, in a way, complement each other. I know this is a rough road to take with no guarantee of success but I don’t simply don’t want to rely on a single income in a job that I’m growing tired of (programmer/analyst). Thank you for putting together this site. I’m checking out your resources now and look forward to your training materials. Diversifying your income is a great idea. I really like your approach as it is very true that there is no guarantee of success. Nevertheless, if you are willing to put in time and effort, you odds of succeeding are much higher. I want to wish you all the best and good luck on your journey. Hopefully, I and my resources can help you. My name is Jen, I’m 43 and a kiwi living in Australia. I’m interested in the markets , similar to you in that the concept of making money while sitting on a couch was very appealing! However I do know that it’s not exactly the case. I’ve traded a little in shares in the past and am looking to move into options for a more regular income. I would be happy if I was making approx US5k per month. While I’m in the learning phase of options I’m planning on dedicating around 3 -4 hours a day studying, 5 days a week and would love to do some paper trading during this time also. Louis I don’t think tastytrades has paper trading for options. Is that correct? Can you recommend a good way to paper trade? I see that they have paper trading on the think or swim platform but I’m intending to use the tastytrades platform once I get started and I don’t want to get confused by switching platforms. Thanks so much for sharing. You definitely seem to be very dedicated as you are willing to put in a lot of work. That is awesome! Paper trading is a great tool to test stuff out. It is correct that tastyworks currently does not have paper trading. But they are planning on adding a paper trading feature this year. I actually don’t really know of paper trading software apart from broker platforms such as thinkorswim. But you could just sign up to thinkorswim and purely use them for some paper trading and then later on use tastyworks for your real trading. I truly hope that TradeOptionsWithMe and I can help you on your journey to becoming a profitable options trader. Please make sure to contact me if you ever feel stuck or if you have any questions or comments. Hi Louis, as a beginner, wanted to start with ETF, but I’am now plan to switch to options. I watched many videos how I can deal with options. I have now found your videos am now sure to trade with options. I’ve learned a lot more with your videos. I wanted to use Lynx as broker , but when I got to your site, I doubt now to go over to TasteWorks. I’m still scared when TasteWorks is bankrupt I have lost all my money. Finally, I thank you for all information and videos. I admire your work. Thanks from the Netherlands, neighbor of Germany. Thanks for your awesome comment and thanks for sharing your thoughts. I have never heard of the broker Lynx before. But I can assure you that your money should be pretty safe with tastyworks. They are regulated by very trustworthy regulators and they offer SIPC protection. SIPC is a federally mandated US corporation that aims to protect investors from losses if their broker goes under. So even if tastyworks goes under (which isn’t likely), you can still get your money back. But obviously, it is you that decides which broker to deposit your money to. Just make sure to make a decision that you feel comfortable with as it is your money and not someone else’s. I hope that you will enjoy your stay at TradeOptionsWithMe and learn a lot. Please let me know if you ever have any questions, comments or feedback. PS. You can also trade options on ETFs. It’s Ryan from the US. I work as an airline pilot out of NYC, and I do an office job in Minneapolis, and I currently live in Dallas, TX. I learned the basics of options trading from Sky View. I spent a month reviewing their videos, and as my monthly membership dues were approaching, I had to consider whether I was going to continue options trading and continue paying Sky View. For the time being, I decided that options trading wasn’t right for me. While I did like the ability to gain money even when the market wasn’t going up, I did not get approved for spreads from TD Ameritrade from the get-go. I did not want to do another course of the basics with the uncertainty that I would get approved. Furthermore, I feared that my returns would not be as strong as the robo-advisor that I was using. Many months later, my robo-advisor has had less than 1% ROI during this awesome financial year (probably due to poor performance in foreign markets) while my 401k has had 14% ROI. I no longer have the fear of missing out of good returns from a simple solution. I would like to be able to control my investments, and make money by selling option spreads from anywhere in the world–whether I am on the road for work or enjoying a day off. I am greatly looking forward to your *free* course. Thank you so much for your generous contribution to the web! I am very happy to be able to welcome you to TradeOptionsWitMe. Thanks a lot for sharing your story. I really appreciate it. It is awesome to see that you are willing to take your financial future into your own hands. I can tell you that getting approved for Spread Trading is very easy over at tastyworks (the broker that I use). So if you still can’t get that approval from TD Ameritrade, you could consider changing broker. I truly hope you will have an amazing time and learn a lot here at TradeOptionsWithMe. I think this is a wonderful thing that you have done to construct this web site and offer your knowledge for free. My name is Allen. I’m an IT Project Manager that works for a Central Ohio bank. But in my past I owned several of my own consulting firms. With one of them I licensed a software application to Pillsbury that was used to run their manufacturing plant operations. I have been involved in the market for years. My goals is to generate capital; hopefully enough to provide me with financial freedom. I was in a divorce for 14 years that gutted me financially. I now have some capital accumulated and would like to leverage that to create more capital. Wow, what a story. Thanks a lot for sharing this Allen. As you already have been in the financial industry for several years, you might already know some of the concepts that I teach. Nevertheless, I still think that you can learn a lot more. If you put in the work, you should definitely be able to achieve your goal! Always remember that I am here to help. So if you ever have any questions or comments, make sure to let me know. I live in Divide, Colorado with my wife, Cindy and our two cats, Sassy and Callie. We are located 9100 feet above sea level. We live in the woods surrounded by pines and aspens. Don’t real know much about markets. I am working on my own website through WA. I am learning a lot. I am interested because I am tired of working for other people who may not have my best interests at heart. I am 61 and my wife is 67. We want to do what we want to do. We don’t want to be slaves to the 9-5 grind. We are both looking into ways to work from home and make a decent living doing it. I have no experience in trading what so ever. So I am starting from scratch. My goals: daily-learn a little more than the day before. Weekly-start working on a game plan and put into action. Yearly-turn what I learn into a reality and start making an income from what I have learned. I am going to try to put in as much time as possible. I still full-time (I definitely want to change this). I am working on my website and I try to write as much as possible. On weekends, I will have more time. I have to remind myself, this is not a sprint. 1. You have your own website/online business which means that you already seem to have an entrepreneurial spirit (a very good trait for a trader). 2. Your goals aren’t solely focused on money. Your focus is on learning and improving, not necessarily on short term gains. 3. You recognize that this is a marathon, not a sprint. Many people come into this business expecting huge gains right from the beginning. This is a very unrealistic expectation. Having the right mindset and approaching trading the right way is very important. Summed up, I truly believe you can achieve your goals and more if you put in the work and stay dedicated! Remember to never give up! Hello Louis. My name is Cindy, am 68 years young, and live in Colorado with my husband Johnny and our two cats. I am currently unemployed due to medical issues. I worked for 30 years in the medical administrative field and have no experience in the world of finance, but have always found it fascinating. As it is with many others, I would much prefer to be in control of my financial health than to leave it to those that may not have my best interests at heart. I am not looking for any “get rich” scheme and know that to be the best takes time and studying in order to reach the goals you set forth. Your program seems very straight forward and informative. I like numbers and have an investigative nature. Long term goals are to be able to retire comfortably and have something to leave our children and grandchildren. As for time to devote to the program, as much as possible. As I stated, I am currently unemployed and therefore have more free time. If I return to work fulltime, the time spent would need to be adjusted but feel that even then could devote one to two hours daily and more on weekends. I am looking forward to the journey and the education. Thank you for this awesome opportunity! Thanks for your comment. It is great getting to know you and your husband. Even though you have no prior experience, I believe you can still achieve your goals because the internet levels the playing field as long as you are patient, dedicated and willing to put in the time. I am happy to hear that you too have recognized that trading is no a get rich quick scheme or anything of that kind. Becoming a successful trader is a journey. I truly hope that you and your husband will achieve your goals and that my site can help you on your journey. If you ever need any assistance or have any comments, please let me know. I’m Alexander from Jamaica, Thanks for this website, I have been interested in trading in the markets from I was in university when I read the book “Charting your way in the stock market” in 1979. I’ve been fearful in actually investing in the stock market since that time, because I don’t want to fail. But lately I feel more empowered by site such as yours to start now. But just like you, I’m in a financially bad situation and so I’ve been looking for a free trading course to learn Option Trading. It has encourage me to now take the plunge. Thanks again. Welcome onboard Alexander. Thank you so much for sharing your story! Many people avoid the stock market because of the same reason as you mentioned: they want to avoid failure. But in reality, you should not be afraid of failure. Instead, you should be happy about failure because every time you fail, you will come out stronger. In other words, every time you make a mistake, you can learn from that mistake and avoid it in the future. Thereby, you improve. In the beginning, this will happen a lot. Usually beginners make quite a few mistakes. But what differentiates the winning from the losing traders is that the winning traders learn from these mistakes, whereas the losing traders get discouraged by their mistakes. So my tip to you is to start out as small as you possibly can and focus on learning from your mistakes. Don’t focus on trying to make as much money as fast as possible. That won’t work. And as always, if you have any questions, comments or feedback, make sure to contact me! My name is Joel. I am a retired teacher and I want to start another career in selling puts. How much money to start investing? Up to $1000. After I learn to trade, I will increase the account $10000 or more. I enjoy analyzing, I want to make more money and I want to teach my grand kids the benefits of trading options. I just opened a small account 2 years ago and started buying stocks. From this I got interested in selling puts. I have studied selling puts for 8 months on my own. I realize I need some structure lessons to really learn selling puts. I have looked at your site and I like it. I believe tradeoptionswithme will help meat my goals. Two years buying and selling penny stocks. I break even on penny stocks. I double or triple the penny stocks. Then I will buy one and I lose big on it. I am back down to where I started. I need to get serious in the market and I believe selling puts is the way to go. I want to be able to buy and sell calls and puts. To completely learn about selling calls and puts. Minimum of 20 hours and more as needed to meet my goals. Thanks so much for sharing so much about yourself and answering all my questions. I really like your approach to trading options. You clearly know that education is very important, no matter in what aspect of life. I also love that your goal is to learn about options trading. Too many people just want to make some money as fast as possible. But that’s not how it works. You have to have a long-term approach and focus on learning at the beginning (just like you are doing). Furthermore, I find it a very good idea to start out with a small account. By doing that, you once again focus on acquiring the knowledge and skills without risking too much. If you put in the time that you currently are willing to put in, you will certainly achieve your goals and more! Please let me know if you ever have any questions, comments or anything else. Who are you? Easy Mudd. How much money to start investing? Not sure, maybe 2-5000$. Why are you interested in the markets and how did you become interested? Bought and held mutual funds since early 1990’s. I’ve traded stocks & options in 1998-2000 unsuccessfully. Any successes? Less than 50% of my options or stocks were successful. But my buy & hold mutual funds for the long term are successful. What are your goals for the next month/year/5 years?…a) Study if option trading again to see if they can be profitable if a mechanical no emotional in/out strategy can be followed (My option & stock picking was based on based on Stochastics, ~100 day moving average, Volume, Direction & emotion). b) Continue with buy and hold mutual funds. How much time are you willing to put in (per day/week/year)? ~10hrs a week. Hi and welcome to TradeOptionsWithMe. I am very glad that you found this site and are willing to educate yourself for a better future. If you put in your suggested time, you should be able to easily achieve your goals! Never hesitate to contact me if there might be something that I could help you with. Who are you? How much money to start investing? Antonio. I can start with $2000, more if needed. I make, the more I can give money to charities. I want to be a giver. considering I knew nothing about the stock market. My account would increase 400%. I would then make one bad trade and I am back to even. How much time are you willing to in (per day/week/year)? when needed . I would never be tired learning to trade options. I like the way the website is setup. The web pages are very organized and I can go from one web page to another page with ease. I believe tradeoptionswithme will be a perfect fit for me. Awesome! I am very happy that you found TradeOptionsWithMe and I love your attitude! A learner’s mindset is a very good mindset to have when approaching the markets. You are nothing else than a student of the markets. If you don’t accept this, you can’t learn and thus can’t improve. But it seems to me that you definitely have accepted this. That is great! Furthermore, you are willing to put in time and effort to make things work. Who are you?how much money to start investing: I am planning to retire next spring and want to get better understanding in trading option to supplement my income. Your site is better than others I feel. I will try to put in my time as much as I can. I spent too much money and confusion for all the Gurus already and just have bad impression toward most of them. What’s your name and where are you from? Karol and born in Seoul,Korea. have been living in US since 1970 and Masters in Internet Securities field. Why are you interested in the markets and how did you become interested? I bought two many single stocks by recommendations from many that are all in RED now and feel hopeless. Have you any experience in trading? Only trade with guides from subscriptions lists..Want to change soon after getting more education. I would like to pay back to whom who is the one finally I stick with after consistently generating income for me. I have not found one yet. What are your goals for the next month/year/5 years…? To get confidence in trading options to generate consistent income with about 80% success rate. How much time are you willing to put in (per day/week/year)? I can put in more than 3 hrs/day. I try to read as much as I can on daily base. My eye sight is getting worse from reading all those piles of newsletters and cannot digest them all. Too much up selling emails and cannot tell which one is which. Welcome to TradeOptionsWithMe! I truly hope that TradeOptionsWithMe will be able to make up for all the negative experiences that you had in the industry. I hate people that focus solely on selling instead of on actually teaching and providing value. That’s why 99% of TradeOptionsWithMe’s content is focused on sharing knowledge and on nothing else. If you put in the time you wrote, I believe you will definitely be able to achieve your goals and more. If you ever need any help with anything, make sure to let me know and I will try to help out as fast as possible. Thank you so much for sharing your story. I am very sorry to hear about your accident. But it is awesome to see that you are putting in a lot of hours into working towards your goals. If you continually put in 4-6 hours per day, you will definitely achieve your goals (and more). Just make sure to never give up and always manage your risk. Never risk losing too much on one or multiple trades. Hopefully, TradeOptionsWithMe will be able to help you on your journey to becoming an even better and more profitable trader. Thanks so much Roger. I really appreciate the kind words!!! Who are you? I’m a husband and father; I work in the IT industry. What are your goals for the next month/year/5 years…? I want to start doing paper trade stuff and tracking my results via your very cool spreadsheet that I’m going to purchase, and then eventually I want to explore all of the cool things I can do with Options. I dont want/need to become a zillionaire overnight. I’m good with slow and steady gains. Thanks so much for sharing your story and who you are. It’s great to see that you want to start out with some paper trading instead of starting out by risking real money right from the beginning. Furthermore, it’s awesome to see that you have the right expectations and aren’t treating this like a get rich quick scheme. I completely agree that TastyTrade is an awesome resource for traders! If you put in the work that you want to put in, you will reach your goals for sure! Never hesitate to contact me if there is anything you need help with. My name is Brian Hewson, a plant operator living in New Zealand. I have been interested in trading over the past 5 years but am not sure what type of trading I should get into. It is all very confusing. I have made couple couple of basic trades (day trading shares) in the past that went nowhere. I am determined to become one of the 5% that succeed in trading and not become one of the other 95% that fail. Proper education is what I require to achieve my goal. Looks like this is a good place to start. I am not expecting to make millions trading options but making enough, consistently, to at least break even to start with, then work toward making a profit. I am interested in learning about options trading but have no idea idea, it all seems a bit overwhelming. I will be starting from scratch. I am retiring soon and would like to get into trading to supplement my retirement income. My goal is to get up to speed with the right training first, then operate a play money account with a broker, work through different strategies then operate a real money account and be flying solo by the end of next year. Thanks a lot for sharing so much about yourself and your goals. It’s great to see that you don’t have any unrealistic expectations and that you understand the importance of education and preparation. It is very understandable that everything might be quite overwhelming in the beginning. That’s why I recommend starting with the complete basics just to get an overview of everything. In my opinion, a great resource to start with would be my free Trading Foundation Masterclass. In it, I don’t only cover all the basics, but I also outline what it takes to become a successful trader and more. Hello Louis, my name is Jannie Lewis. I’m from Houston, Texas. I’m new to day trading [options]. My daughter suggested it to me and I’m trying to learn as much as I possibly can. I’m currently trying to figure out how to navigate TOS. I will be creating an account with TastyWorks per your suggestion. Thank you for allowing me to be a part this online training session. My goal is to become a knowledgeable and successful trader. My intention is to supplement my income. I hope you will enjoy the stay and accomplish your goals. I really like that you are focusing on acquiring knowledge first instead of trying to get rich quick. If you ever are stuck somewhere, just let me know and I will do my best to help. Hi Louis. Looking forward to hearing your experience so as to learn as much as I can about options trading. I’m really interested to learn about credit spreads. Thanks for putting up this website. Awesome! I hope you will enjoy your stay. If there ever is anything you are unsure about, don’t hesitate to contact me. Rez from Canada and I am glad I found your website! I have always been interested in trading but unfortunately my first experience in trading was in Forex back in 2005 and it was a big loss. I have promised myself at some point I will not only recover the lost but also create another income stream from it. I currently have some stocks for long term investment but am really interested in learning and trading options daily. Great to get to know you, Rez. I am sorry to hear that you have had a bad previous experience with trading. However, I hope you learned something from that experience. You can consider it a tuition fee to the markets. Just make sure to keep your risk small and manageable from now on. Furthermore, focus on education and making good trades instead of on making money in the beginning. I hope you will learn a lot at TradeOptionsWithMe. if you ever need help with anything, make sure to let me know. I am a 50 year old mother currently on Disability. I would like to supplement my income. My boyfriend plays the stock market. I want to learn more about it. My goal is to have enough money to move to Florida. I’m able to put in a few hours a day. Thanks so much for sharing who you are and why you want to get started in the world of trading. It’s great to see that your boyfriend also is interested in the stock market. This will allow you to learn from and help each other. I really hope TradeOptionsWithMe will help you accomplish your goals. Never hesitate to contact me if you ever have any questions or comments. Thank you so much for introducing yourself. I have to agree with you that Tastytrade is a great resource to learn about options. Furthermore, I love that you are trying to encourage trading amongst younger people! That’s just awesome! I really hope you and everyone else will learn a lot at TradeOptionsWithMe. Never hesitate to contact me if there is anything you are unsure about. My name is Matt and I am an engineering student looking to earn some extra money. My roommate trades stocks but not options and I know this is a way to control larger value stocks with less capital. I have no experience in trading except for a stock market simulation game I did in high school haha. I cannot create a goal currently because I do not know what is a realistic return on investment. I am skeptical of the claims that you can create a consistent income but willing to learn. I also read about that options trading is more predictable than stocks and I am interested in that because I believe the stock market is random and no one can predict what will happen. I enjoy math and economics, and have already done research on my own, and am willing to put in work. I just sent in my email for the masterclass and am excited to learn. Thanks a lot for sharing who you are. It is totally understandable to be skeptical at first. I really like your reason for not providing a goal. Having realistic expectations is one important part of learning something new. So it’s great to see that you aren’t treating this as a get rich quick scheme, but as a learning experience instead. I really hope you can find some value in TradeOptionsWithMe and will learn a lot. If there ever is anything you need help with, make sure to let me know. Thank you for commenting. It’s great to hear that you already have had success with options before. 2018 was a very tough year for extremely many traders. The markets in 2018 were nothing like the markets in the years before 2018. So it is understandable that your trading wasn’t the best in 2018. I hope TradeOptionsWithMe can help you make 2019 your best trading year yet. Matthew, 45 y/o from Illinois/Indiana area. Living abroad now, working across the country as a travel nurse. Have been working as a nurse for over 25 years. My wife and dog also travel with me. I became interested in learning how to trade a little over one year ago after getting into the cryptocurrency market as a means of possibly making some additional income. I never enter into an endeavor half way and have dedicated many hours over the last several months educating myself on cryptos, stocks and trading, but have only dabbled a little at trading, mainly swing-trades and a few options. My wife decided to enter the trading world after seeing how much interest and time I was investing. We both are very dedicated and are spending most of our spare time educating ourselves. I earned my Bachelors in Nursing, and she earned her Masters in Business Admin last year, all online, and are very aware of the self-motivation needed to learn on your own with guidance. Our goals for the next year are to become profitable traders, not get rich quick by any means, and eventually would like to become full-time traders within the next couple of years. Thank you in advance for offering up free education on your site and sharing your hard earned valuable knowledge with no strings attached. Thanks a lot for your comment. It’s great to get to know you a little better. Furthermore, it’s awesome to see that you already have experience in learning things for yourself online. It is really important to be motivated and put in the time when learning something new. You two clearly are willing to put in time and effort to accomplish your goals. So I truly hope you will accomplish them. Hopefully, TradeOptionsWithMe will be a valuable resource on your journey to becoming profitable traders. Hi. I am Doug from southwest PA. I am 59 and retired. I became interested in trading through a Tradeway seminar in January. My pension is going to get cut by 30-40% in July. My first goal is replacing that money, and my second is to make enough for my wife to retire early. I am brand new to this and am ready to start paper trading. I babysit my grandchildren 4 days a week through the school year so I have plenty of time to put toward trading. Great to get to know you. I am sorry to hear about the upcoming pension cut. But I hope that trading will allow you to make up for it. Just remember to start slow. Don’t start by risking any substantial amounts of real money. Instead, focus on your education in the beginning. Hopefully, TradeOptionsWithMe can help you reach your goals. If you ever have any questions or comments, I would be more than happy to help. Very refreshing to hear a European accent. I was born in Nairobi, Kenya in 1949. Retired and almost a senior citizen living in Toronto Canada. My senior Education was in the U.K.
As a college student I had to opportunity to travel all across Europe. Enjoyed visiting Munich etc in Germany with a German class mate. I like investing in the stock market but only now am beginning to see some green. Hope to learn lots more from you. Thanks for commenting! It’s awesome to get to know you and your story. Don’t be demotivated if you are struggling to generate consistent profits. Investing and trading is everything else than easy. It takes time to learn and become profitable. But as long as you stay committed and don’t give up, you will surely reach your goals. Never hesitate to contact me if you ever need help with anything. Hi Louis, I’m Matt. I’ve been interested in the market for about 8 months and have done some day trades and swing trades. I haven’t lost my initial capital but it’s also not growing. I’ve spent many hours learning strategies with the goal of generating additional income in retirement. I’m set for a comfortable retirement already due to investing in my 401K for 30+ years. I’ve always been the hunter gatherer type so I can’t picture myself just consuming when I retire. Trading options seems to have a realistic chance of being a consistent way to generate additional supplementary income. My initial plan is to put $25-$30K in a brokerage account and use it to generate about 1k per month. I’m willing to spend a few hours each day learning and growing in my new “profession”. Does this sound reasonable? Welcome to TradeOptionsWithMe. I do think your goal is achievable. However, I definitely think it will take some time to get to that point. Ideally, you shouldn’t expect to make too much in the beginning. In the beginning, it is much more important to grow your knowledge and experience, than you capital. But if you put in the time and are patient, you might very well reach your goal. If you ever need help with anything, just let me know. I would like to see and learn to trades with options to improve my way to operate. I am sorry for the late reply. 5-8 hours sounds like a very good plan. I definitely think that your goal sounds achievable. Make sure to let me know if you ever have questions or comments. You’ve come to the right place. Let me know if you ever need help with anything. I am a total newbie to trading. I have done 5 calls, 2 have been successful, 3 have not. I have no concept of what I am doing but so willing to learn. You have certainly come to the right place and it is great to see that you are willing to learn. Always feel free to contact me if you need help with anything. Thanks for your comment. I agree with the lessons that you learned from Tim Sykes. If you put in enough time and work, you will certainly achieve your goals. I hope TradeOptionsWithMe can help you along the way. I recommend starting with my free Options Trading Courses. If you ever have any specific questions, comments, feedback or anything else, just let me know. My name is Dave. I currently live near Puerto Vallarta, Mexico. I have been involved in the market for some time. I currently invest primarily in dividend paying stocks. I use the dividends to fund my retirement. So far so good. Now I’m looking for what I hope is exponential growth. It’s great to get to know you. Furthermore, it’s definitely beneficial that you already are involved in the markets because you won’t have to start from zero now. I truly hope that TradeOptionsWithMe will help you reach your goal of exponential growth. Make sure to let me know if you ever need help with anything. How much money to start investing? Im going to start with $500 adding more weekly. What’s your name and where are you from? I live in Texas. Why are you interested in the markets and how did you become interested? Always been int. What are your goals for the next month/year/5 years…? To leave my job and do this full time. How much time are you willing to put in (per day/week/year)? 12 hrs per day. 5 days week. Thanks so much for your comment. It’s awesome to see that you are ready to put in a lot of time to learn how to trade. If you consistently put in that many hours, you should definitely achieve your goals. I really hope that TradeOptionsWithMe and I can help you on your journey. Who are you?how much money to start investing – I am a small shop owner. Why are you interested in the markets and how did you become interested? Financial freedom makes it interesting. Have you any experience in trading? No Just learning. How much time are you willing to put in (per day/week/year)? One hour Daily. Welcome to TradeOptionsWithMe. I like that you are focussing on learning right now instead of starting to trade as fast as possible. I always recommend starting with a phase in which you just educate yourself before risking any real money. I really hope that TradeOptionsWithMe will help you on your journey to financial freedom. Always remember that I am here to help you if you ever need help with anything.